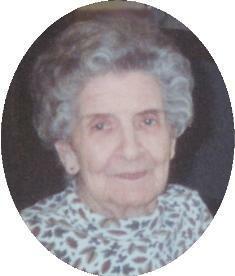 Carolyn L. Seebeck, 92, of Port Washington died Tuesday, November 16, 2004 at Heritage Nursing Home and Rehabilitation Center in Port Washington where she had resided for the last three years..
She was born January 30, 1912 in Manitowoc, Wisconsin to Cornelius and Elizabeth Schrimpf Ferch. Carol met Glenn Seebeck of Watertown, South Dakota and on August 18, 1934 they were married in Milwaukee, Wisconsin. They lived in Menomonee Falls and Milwaukee raising a family. In 1984 they moved to Port Washington. Carol was a quiet and nurturing mother. She had a knack of growing almost anything and liked her African Violets. She enjoyed crocheting and making soup also. She had a wonderful relationship with her husband and took great care of him over the years. He preceded her in death February 15, 2000. She is survived by her children Karen Hendrickson of Thiensville, Ronald (Debbie) Seebeck of Wisconsin, Tom (Mary) Seebeck of Texas and Gary (Vilma) Seebeck of Arizona. Further survived by 13 grandchildren, 22 great grandchildren, other relatives and friends. Preceded in death by her husband, a brother, a sister, son-in-law Art Hendrickson and a great granddaughter. Rev. James Ernster will officiate funeral services 6:30 pm Friday at the funeral home. Interment Wisconsin Memorial Park, Brookfield. Visitation 4:30 – 6:30 PM Friday.